Obstructive sleep apnea (OSA) is a disorder of recurrent upper airway obstruction occurring during sleep. 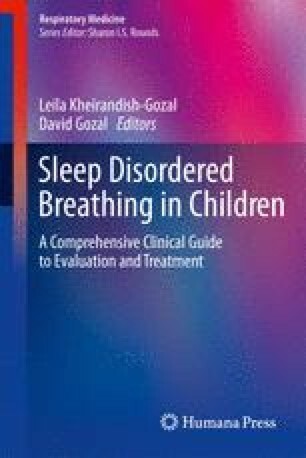 This chapter reviews studies that have focussed on understanding the upper airway control and its functional aspects during wake, sleep onset, and sleep, in both adults and children. Upper airway obstructions commonly occur due to a combination of anatomical and physiological factors. While convincing evidence supports deficient upper airway anatomy in afflicted patients, which requires increased neuromuscular activity during wakefulness as a compensatory response, the mechanism driving this response is still poorly defined. The neurochemical and physiological changes that occur at sleep onset leading to a loss of muscle activity and subsequent pharyngeal collapse are the subject of ongoing investigation, but may relate to diminished pharyngeal reflex control and a loss of the neuromuscular compensation present during wakefulness.